Related to the myths and legends of Ancient Greece. 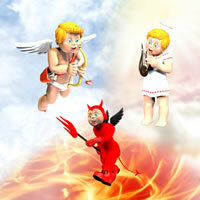 Lovable little Toon Cupid character and props for Poser 7 or higher and DAZ Studio 4 or higher. 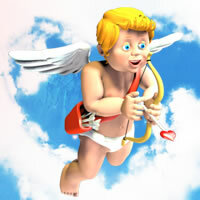 Lovable little Toon Cupid character, bundled with Toon Angel and Toon Devil. Poser 7+, DAZ Studio 4+.